Allen Analytics LLC brings together expertise in chemistry, engineering, and statistics to tackle data-intensive research problems. We work with our clients to formulate research questions, mine large data sets, technically evaluate data, build models to explain data, and make recommendations. Throughout our work, we consider data in the context of the underlying chemical processes. Our goal is to provide our clients with relevant, innovative, and robust answers to their research questions. Independently evaluated mercury and particulate matter (PM) emission limits for the Utility Air Research Group. These limits for coal-fired power plants were proposed by EPA based on short-term measurements. We used long-term continuous emission data to critique EPA’s assumption that emissions were not correlated and proposed an alternate approach to calculate emission limits using non-parametric statistics. Assessed 30-day average mercury emissions from coal-fired power plants for a large electric utility. These plants used either co-benefit or activated carbon injection control technologies. We assessed emission variability and the effect of plant start-up on mercury emissions. Client had reliable long-term mercury emission histories in advance of proposed EPA regulations. 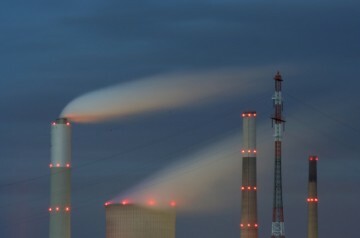 Assessed mercury emissions from coal-fired power plants using activated carbon injection for a large electric utility. We studied the root causes of variations in mercury removal efficiency among units and across operating conditions. We proposed process control changes designed to reduce carbon use and increase mercury removal.